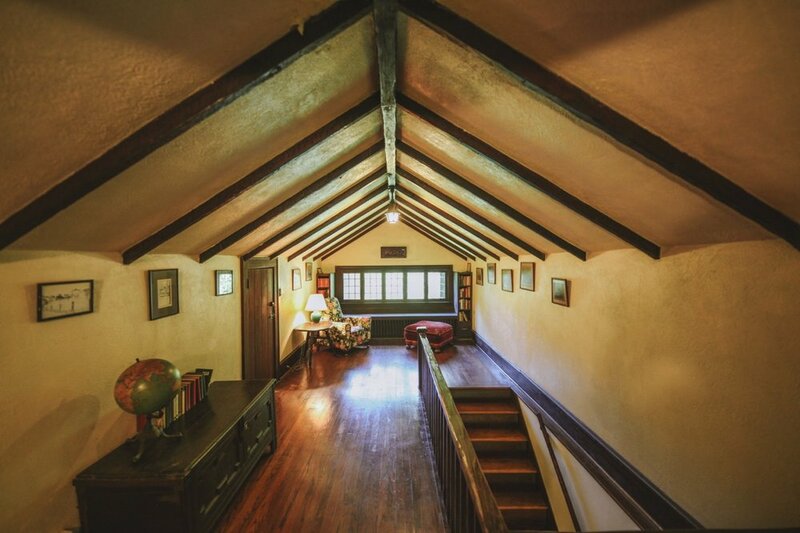 Reason to rent: Experience the old world charm of this family estate nestled in the mountains. 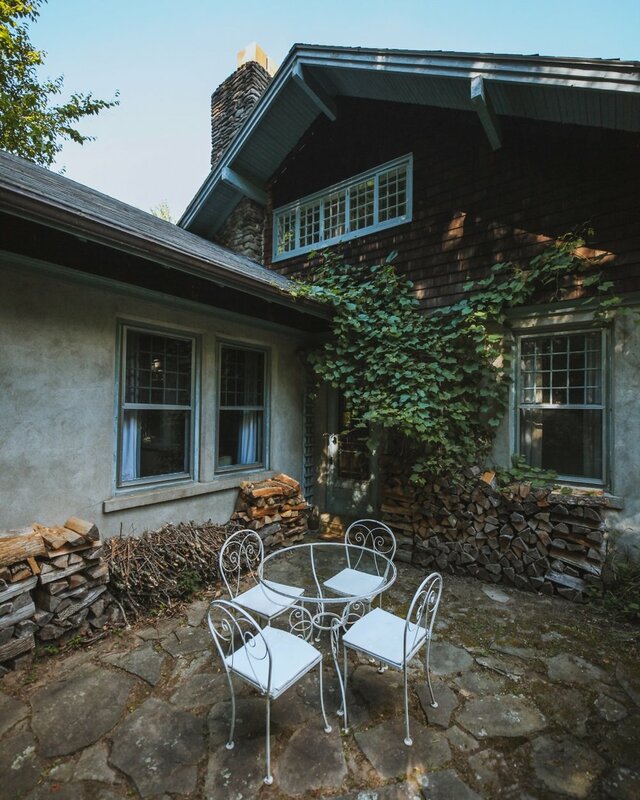 Combining old world architectural charm with a raw natural splendor, Laurel Lodge had been a one-story summer bungalow built around 1865-1880, occupied by a small church that served a community of Irish tanners who lived and worked in the valley. In 1924 it was expanded by the forbears of the current owners into the grand house we see today. 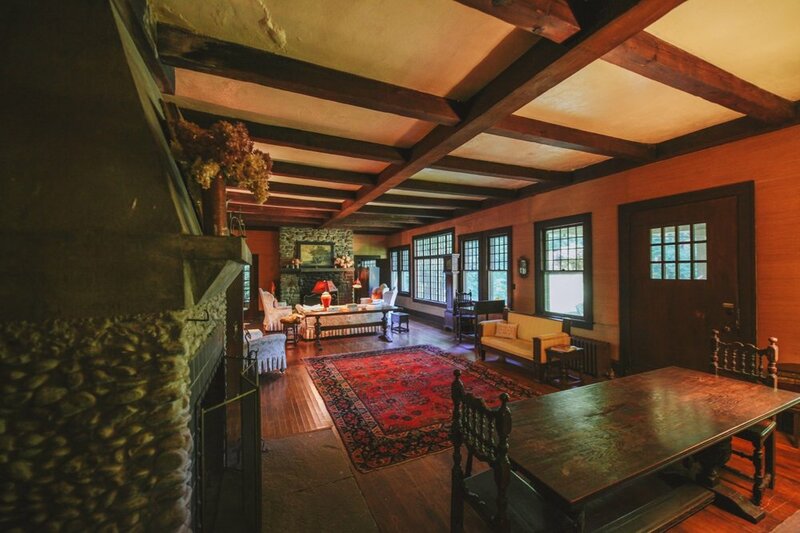 The lodge is secluded and private, set on 63 acres of mostly wooded land, nestled in the heart of the Catskill Mountains, and enjoys access to the unspoiled setting at Clear Lake, just at the edge of the property. The most eye-popping spots in this home are the paneled living room, dominated by two huge stone fireplaces (one of which is usable), and the adjacent library, where a game of pool, post-prandial whisky in handy, is a must. The vibe is very 1800s European demesne, with coffered ceiling, dark wood paneling, and an interesting array of tapestries, rugs and furniture from various eras. Meals prepared in the simple, sunny country kitchen with vintage cast iron sink are enjoyed in the separate dining room. In the evenings, adjourn to the dramatic paneled living room, which is dominated by two huge fireplaces (one of which is usable). 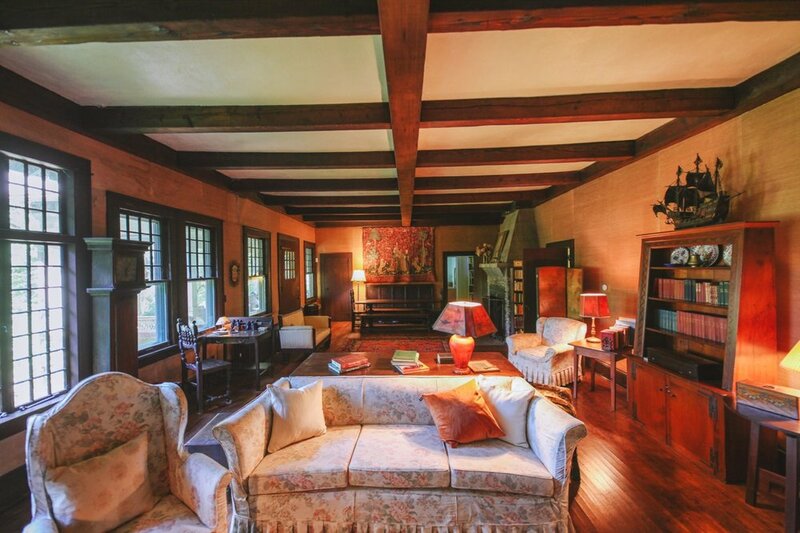 The living room, as well as adjacent library, where a game of pool, post-prandial whisky in handy, is a must exude a very 1800s European demesne vibe, where the fireplace casts a glow over vintage details like over-filled bookshelves, long-held rugs and stone hearths. Also on the ground floor are two bedrooms: one often called "the downstairs yellow room” has a queen, and “the blue room” has two twins. The main bath downstairs, along the hall with the two bedrooms, has a clawfoot bathtub equipped with a shower. The second bathroom, off the pantry on the first floor, is very small but has a walk-in shower. Upstairs are two bedrooms. 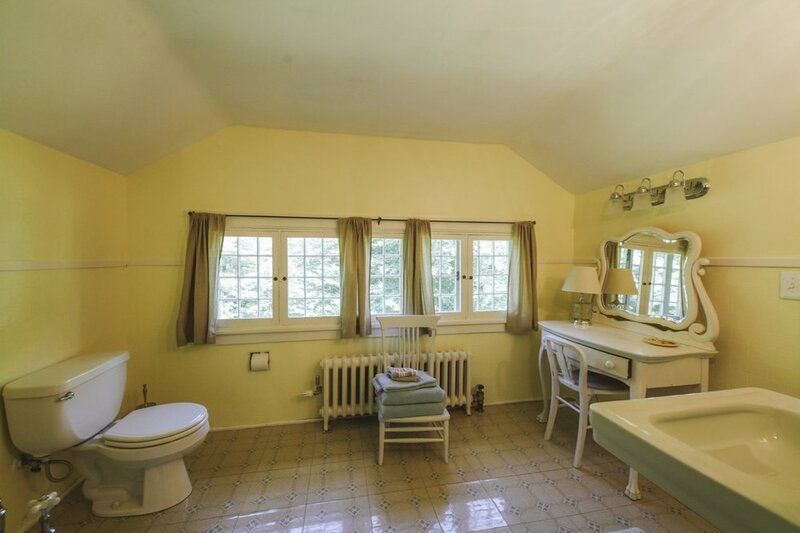 The master, often called “the upstairs yellow room,” has a king bed. "The red room” is smaller, with two twins. The upstairs bath has an porcelain tub from the 1920s with a European-style tub faucet with hand shower, but no standing shower. Languid summer days offer lounging and grilling on the stone patio or paddling on the lake. There is a cut path that leads down to the lakefront, just a few minutes’ walk. At the lake’s edge are Adirondack chairs and boats for exploring. There is public swimming and fishing in the Beaverkill River at the Beaverkill Covered Bridge, a ten minute walk or very short drive. Laurel Lodge is also an ideal basecamp for some of the world class hiking in the area.